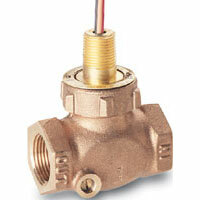 Brass Flow Switch uses a piston design for detection of flow rates. Applications include industrial cleaning equipment, detecting loss of fluid in hydraulic systems, and assuring coolant flow in semiconductor processing. 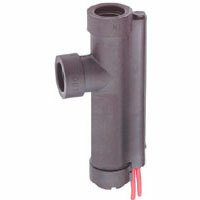 Flow Switch uses a piston-type design for air and water applications. Economical and superior design. Applications include heat exchangers, filer life monitoring, and cooling applications. Polypropylene Flow Switch has applications in pure water equipment, filter life monitoring, heat exchangers, and cooling applications. Fits almost any piping requirements. 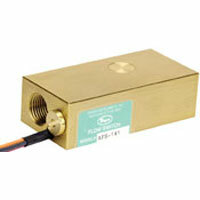 PPS Piston Flow Switch has a molded plastic construction for enhanced performance. Monitors liquids. Features polyphenylene sulfide R4 housing and piston. 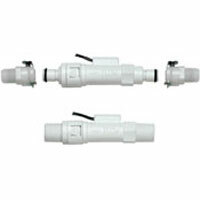 PVC Shuttle Flow Switch features corrosion resistant, durable PVS housing for visual confirmation in flow/no flow applications. Has only moving part for long life and minimum maintenance. 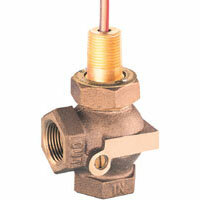 High Pressure Brass Flow Switch is ideal for high in-line pressures. Applications include industrial cleaning equipment and high pressure lubrication systems. 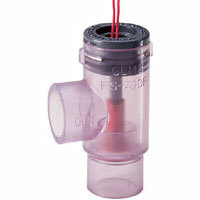 Globe Flow Switch provides an accurate flow detection in water and oil. A shuttle bypass vane inside the housing is controlled externally. Resists shock and vibration. Globe Valve Switch has accurate flow detection and external adjust-ability over a broad range of flow settings for compatible liquids. 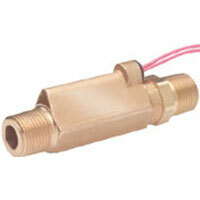 An application of this is low flow detection in cooling lines. 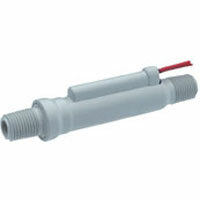 Adjustable Flow Switch is externally adjustable piston-type flow switches for oils, liquids, and gases. Applications include oil, water, or compatible liquid flow control and protecting tools from coolant flow failure.